Posterior reversible encephalopathy syndrome or Reversible posterior leukoencephalopathy syndrome is an acute or subacute reversible condition characterized by headaches, mental status changes, visual disturbances, and seizures associated with imaging findings of posterior leukoencephalopathy. It has been observed in association with hypertensive encephalopathy, eclampsia, and immunosuppressive and cytotoxic drug treatment. Posterior reversible encephalopathy syndrome (PRES) is a clinicoradiological entity that was well described by Hinchey et al. It is a neurotoxic state that occurs secondary to the inability of brain posterior circulation to auto-regulate in response to acute changes in blood pressure. This condition has been designated by a variety of names ( reversible posterior leukoencephalopathy syndrome, reversible posterior cerebral edema syndrome , and reversible occipital parietal encephalopathy ). The global incidence of PRES is unknown. PRES has been reported in patients aged 4 to 90 years, although most cases occur in young to middle-aged adults, the mean age ranging across case series from 39 to 47 years. There is a marked female predominance that may reflect some of the causes. Many patients with PRES have comorbidities, which may be severe conditions, such as bone marrow or solid organ transplantation, chronic renal failure, and chronic hypertension . The pathophysiology of PRES remains controversial. The syndrome can be precipitated by various clinical settings. The mechanism is not well understood but is thought to be related to altered integrity of the blood brain barrier. high blood pressure : leads to loss of self-regulation, hyper-perfusion with endothelial damage and vasogenic oedema. endothelial dysfunction : leads to vasoconstriction and hypo-perfusion resulting in cerebral ischaemia and subsequent vasogenic oedema. PRES can develop in association with a vast array of conditions. However, regardless of the underlying cause, the main abnormality is cerebral vasogenic edema, the pathogenesis of which is still under debate. Oxaliplatin has been reported as a possible cause of PRES. Its influence in the syndrome occurs due to its pass through of the BBB with secondary fluid transudation and subsequent cerebral edema. Bevacizumab , a recombinant humanized monoclonal antibody, produces PRES by both increasing BP and inhibiting vascular endothelial growth factor (VEGF). Sunitinib is a tyrosine kinase inhibitor which also inhibits VEGF effects, via anti-VEGF receptor. Moreover, glucocorticoids such as dexamethasone have been shown to induce PRES, although it is an uncommon steroids-use complication, and thought to be related to HTN secondary to its mineralocorticoid effects. 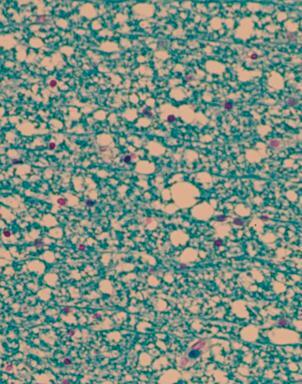 Other cytotoxic agent related to the development of PRES is sirolimus , a drug that alters the metabolism of astrocytes with secondary structural changes leading to edema. Gemcitabine , a synthetic pyrimidine nucleoside analogue antineoplastic agent has a well described neurotoxic effect and has recently been associated with PRES development. Cyclosporine is a drug that has been related as an etiologic factor of PRES since it was first described in 1996. The mechanism by which it induces the syndrome is explained by the increase in efferent sympathetic activity with possible acute HTN development, it has been linked more frequently when administered via intravenous (IV) access. It is also thought that it may have a direct activation of the central sympathetic neurons as it is able to cross the BBB. Autoimmune Disease : systemic lupus erythematosus, systemic sclerosis, polyarteritis nodosa, Wegener’s granulomatosis, thrombotic microangiopathy, polyangiitis, Takayasu arteritis, Hashimoto encephalopathy, and Crohn’s disease). While the hypertension/hyperperfusion theory has been most popular, the conditions associated with PRES have a similar immune challenge present and develop a similar state of T-cell/endothelial cell activation that may be the basis of leukocyte trafficking and systemic/cerebral vasoconstriction. The combination of suggestive clinical manifestations and radiological criteria establishes the diagnosis of PRES. In doubtful cases, the clinical and radiological improvement that occurs once appropriate treatment is given confirms the diagnosis. Nevertheless, there are no consensual guidelines to validate diagnosis of PRES. The typical features of PRES consist of consciousness impairment, seizure activity, headaches, visual abnormalities, nausea/vomiting, and focal neurological signs . Consciousness impairment may range in severity from confusion, somnolence, and lethargy to encephalopathy or coma. Acute hypertension is not usually described among the main signs of PRES. However, hypertension has been reported in most studies in 67 to 80 of patients. high mean blood pressure is often observed in PRES but its level is not correlated to the severity of PRES. Patients with severe manifestations of PRES, such as coma and/or status epilepticus, may require admission to the intensive care unit (ICU). Moreover, permanent neurological impairment or death occurs in a minority of patients. Until recently, PRES was believed to consistently produce bilateral and symmetric regions of edema typically located in the white matter and predominating in the posterior parietal and occipital lobes. Occasionally, edema has been described in the frontal lobes, temporal, basal ganglia or cerebellum and brainstem in the posterior fossa, and cortical gray matter. Recognition of PRES has evolved with increasing availability of magnetic resonance imaging (MRI). Cerebral herniation: Posterior edema, particularly when located in the cerebellum and brainstem, may cause transtentorial cerebral herniation. The non-specific clinical manifestations and multiplicity of radiological patterns raise diagnostic challenges. Many conditions may resemble PRES, including ictal or post-ictal state (with or without status epilepticus), progressive multifocal leukoencephalopathy (PML), severe leukoaraiosis, cerebral autosomal dominant arteriopathy with subcortical infarcts and leukoencephalopathy. (CADASIL), infectious encephalitis, acute disseminated encephalomyelitis, mitochondrial myopathy encephalopathy lactacidosis and stroke-like episodes syndrome. (MELAS), vasculitis, Creutzfeld-Jakob disease, cerebral venous sinus thrombosis, and ischemic stroke (watershed or posterior cerebral artery territory). Posterior reversible encephalopathy syndrome is a relatively rare syndrome that sometimes presents as a stroke mimic. As such, it is important for the emergency physician to recognize. Urgent recognition and early initiation of management of this condition are imperative as it directly impacts the neurological outcome. Brain CT perfusion can play an important role in the diagnosis. The treatment of PRES depends on the underlying cause. For instance, if the main problem is high blood pressure, blood pressure control will accelerate the resolution of the abnormalities. If the likely cause is medication, the withdrawal of the drug in question is needed. PRES is typically reversible once the cause is removed.